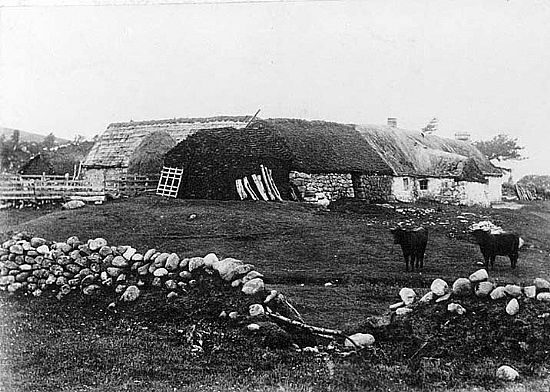 This photograph shows the house and steading complex with it's turf and thatch roofing. The roof maintenance of such a complex of buildings must have been a major task. Even the peat stack (for fuel) was built with great skill, blending in with the adjacent buildings.